You'll need to read beyond the headline. I have quite a few of their sets, all top drawer, no doubt the kit will be of the highest quality. They do make some really, really nice stuff. Will be keeping an eye on this one. All I saw was a 1/144 La5n, where did they say anything about 1/32? Also, the designation is La-5FN (no such thing as an "La-5N"). From Northstar, I would assume resin; cast from 3D printed partd it looks like. 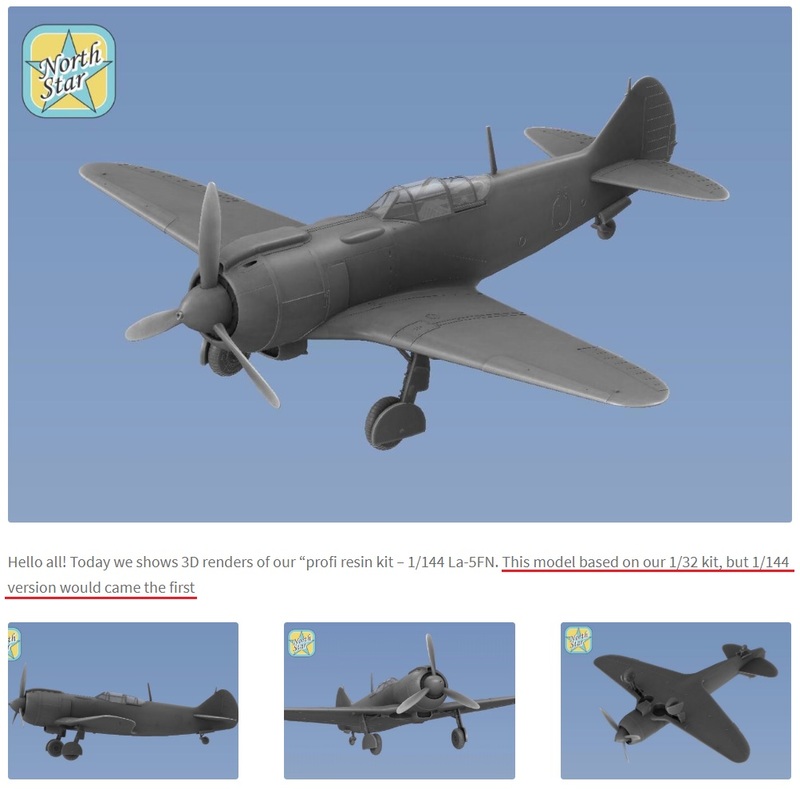 The linked page says "3D renders of our “ profi resin kit". Very interesting, will have to watch this one. Yes, I saw that. Wasn't sure if it was a reference to the 1/32 or the 1/144 scale kit, hence my query. Thanks. Oh my. A La-5fn. Nice surprise.